If you google something like "ESL lesson ideas" or "ESL Games" or really any topic related to teaching English as a foreign language, you will literally get millions of results in less than a second. To make this search a little less daunting, in this blog entry I'm going to give you some of my favorite websites for English language teachers. In the comment section or on my Google+ page please let me know about some of your faves. 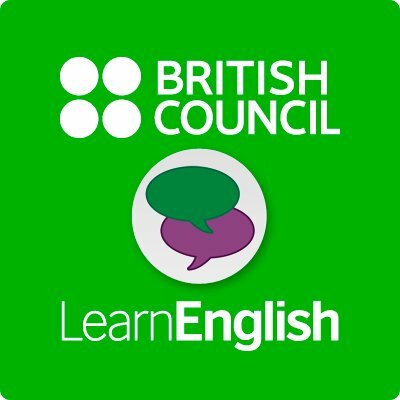 Besides being one of best websites for finding teaching jobs around the world, this website also has a great discussion forum on all things ESL, tons of great teaching ideas and even resources for students who want to learn English. This site is very easy to use and is continuously updated. Need a worksheet for your class, then look no further than BusyTeacher.org. This website contains over 17000 printable worksheets, lesson plans and awesome lesson activities that you can use for free. It's also a great place to buy discounted books and e-books on teaching English. 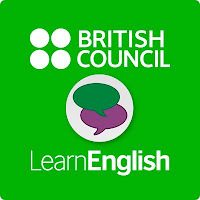 LearnEnglish is an amazing interactive website where students of any level of English language proficiency and any age can go to study English. If you have access to computers at your school or in your classroom this is a great site to send your students to for extra help. While the website does offer many grammar worksheets that teachers can download for free, I mainly wanted to include this site in my list because of the grammar books Azar produces. In my opinion, and many of the people I have worked with, these books are the Bible of English grammar. The easy to follow grammar steps and explanations make these books great resources for teacher and students. While this site might not be the prettiest, it's packed with lots of resources for teachers and students. Teachers can find lesson plans, articles, teaching techniques, and a searchable database of more than 5,000 links of interest. The Activities for ESL Students section includes more than 1,000 activities: self-study quizzes, games, crossword puzzles, and treasure hunts. Also included is a Daily Page for ESL/EFL Teachers to help teachers keep up with what's new on the Web. I found the discussion question section of this website particularly useful when teaching conversation classes. I know I'm a bit biased with this one as I work at the University of Victoria, but this website has been showing up on a lot of bloggers pages as one of their favorites. The Study Zone was first designed for UVic's ELC students to use as a study tool at home, but now it is available to anyone anywhere. The site contains thousands of self-study lessons for students at any level of language proficiency. Breaking New English is a great website that uses recent news stories as a means of capturing the interests of English language learners. Each news story comes in various levels of difficulties and its own lesson plan focusing on activities such as reading comprehension, spelling, discussion, listening, etc. On top of this, each new story comes with up to 30 quizzes that teachers can use to assess their students. Updated news stories are posted every 2 days, so this is a site you can use frequently in your class. 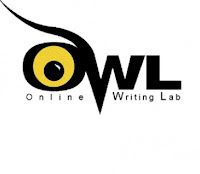 The Purdue Online Writing Lab is not only great for teaching ELL's how to write, but it's incredibly useful for everyone. I finished my Master's degree a few years ago and I often used this page to help me with my APA references.This site contains a section for ESL students and instructors that covers grammar, pronunciation, sentence and paragraph structure, vocabulary and a number of writing exercises. Instructors can easily print out activities that can be applied to many different lesson plans.